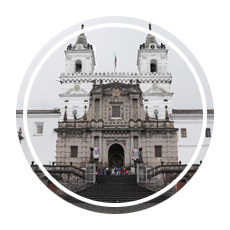 There are two primary reasons to visit Quito, Ecuador. The first is because it is a common departure point for the Galapagos Islands, an archipelago that straddles the equator. 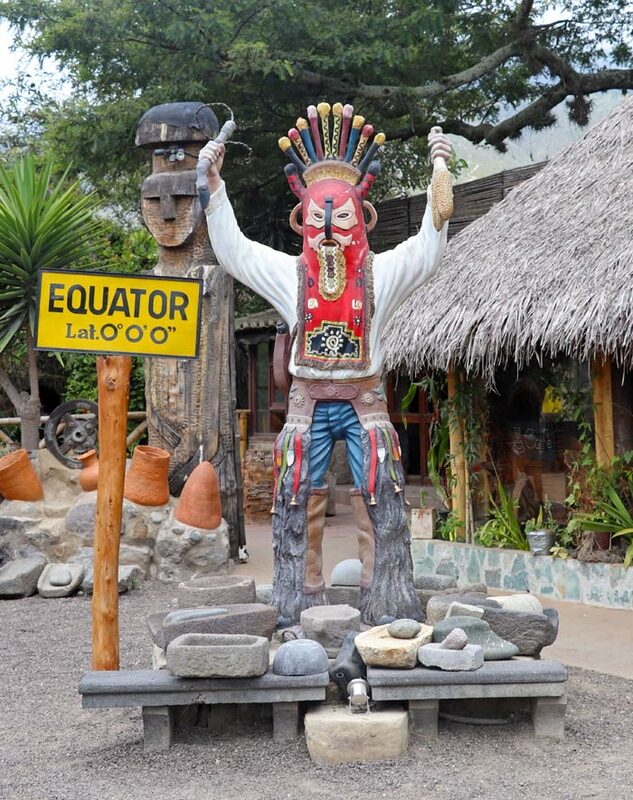 The second is to visit the equator itself. 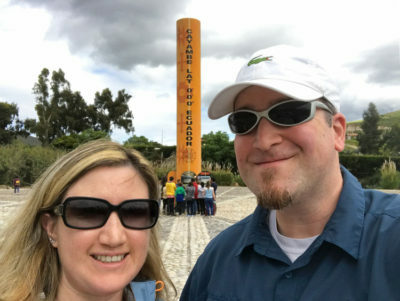 When Adam and I found a pair of inexpensive plane tickets for a long weekend in Quito, we knew we wouldn’t have enough time to see the Galapagos, but two days would be plenty of time to stand on the equator! Ecuador finds immense pride in its location. 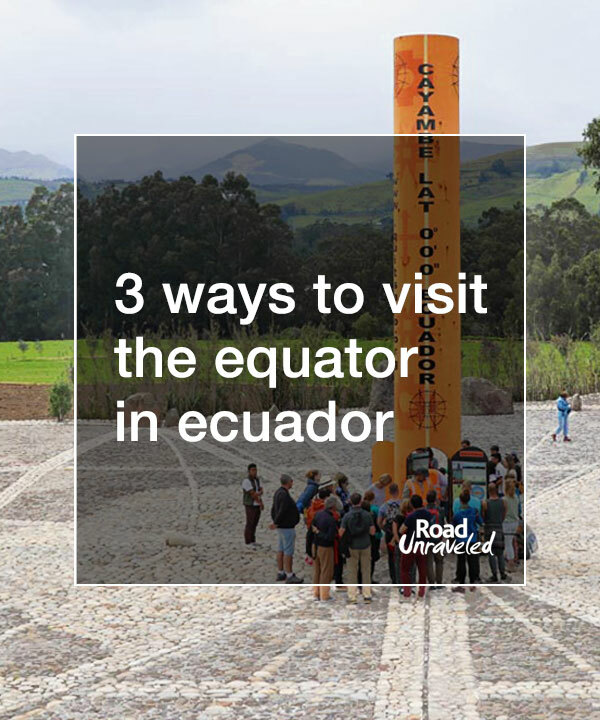 Although the equator passes through thirteen countries around the world, Ecuador seems to claim it as if it were the only one with that distinction. One tour guide proudly told us that Ecuador means equator; the country was named for the imaginary line that divides the northern and southern hemispheres. Another was quick to share that Ecuador’s altitude makes it the highest point on the equator. If passion were enough to assign ownership Ecuador would certainly win that battle. During our weekend away we visited the equator in a couple of ways; although you will find a few locations that promise the chance to stand with one foot in each hemisphere, you might be surprised that not all equator attractions are created equal. Here is what you can expect from the options you can choose from if you, too, want to stand on the center of the planet. The most popular way to visit the equator is to see its famous Mitad del Mundo monument—ironically the one spot our guide decided to skip during our short visit. 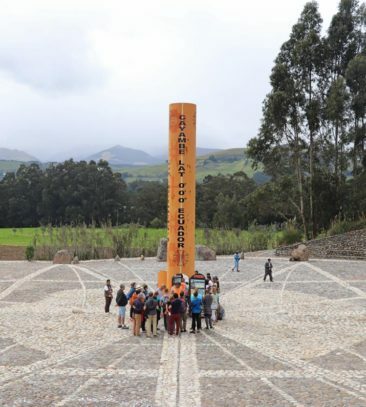 The Mitad del Mundo monument is an impressive 100-foot-tall (30-meter) structure that marks where the equator is located—or, at least, that’s what many people believe. As it turns out, the monument is approximately 800 feet (240 meters) off the actual equator line. 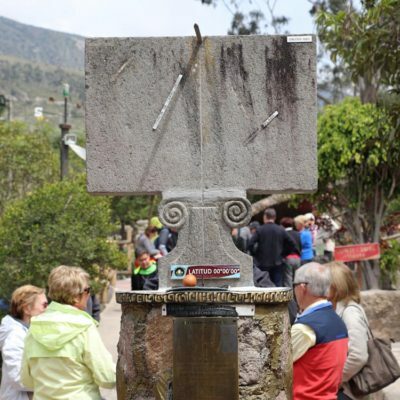 There are a few explanations for why it’s not positioned in the right spot: some say the ground wasn’t suitable for such a monument on the actual equator, so it was moved to a better position. Others claim it was placed on the line that French explorers identified in the 1730s, and more precise GPS devices now prove their measurements weren’t quite accurate. Either way, most Ecuadorian locals freely admit the monument doesn’t quite represent the official line. No matter how the monument came to sit just slightly off the mark, many visitors can’t resist taking a photo in front of it. 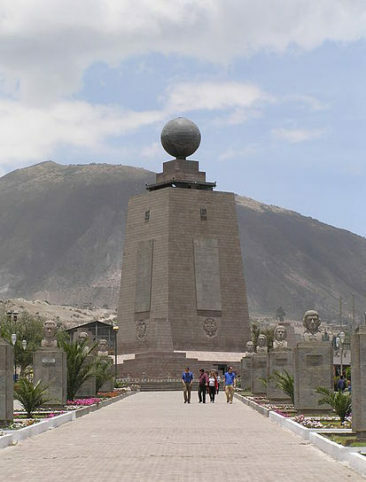 Thousands of travelers will straddle the yellow line leading up to the monument, claiming to have one foot in each hemisphere in that moment despite the fact they really have both feet firmly planted in only the southern hemisphere. The only reason we resisted the opportunity is because our tour guide inexplicably decided to skip that particular attraction. Although we were a bit irritated to miss it, if your time is limited this is a reasonable spot to skip. The monument doesn’t truly sit on the equator, and there are a few other places that will take you right to the line. If, like us, you miss the monument, the YouTube video below is a great representation of what the experience is like. 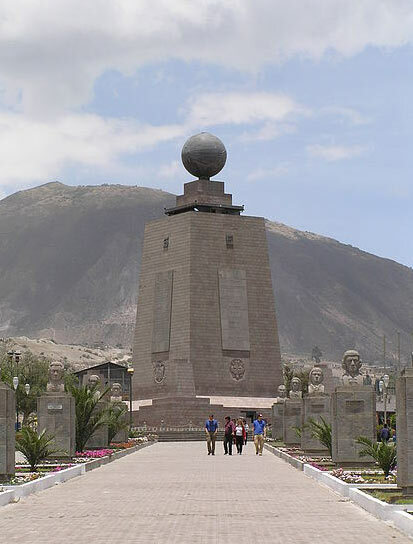 Not far from the Mitad del Mundo monument—just a few minutes by car—you can get a bit closer to the equator, although some people still claim the location isn’t quite right. The Intiñan Solar Museum is part guided tour, part museum, and part carnival, and it’s a fun way to spend an hour or so. 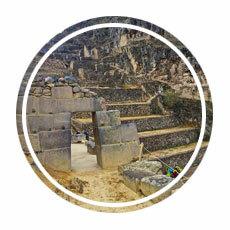 We joined a group with a local guide who provided an interesting introduction to Ecuadorian history and culture. The real fun started when we were first deposited on the red line that marks the “true” equator, although my GPS never quite showed that: I consistently saw 0° 0′ 6” latitude and, once, 0° 0′ 4” latitude, neither of which would indicate I was precisely standing on the equator. 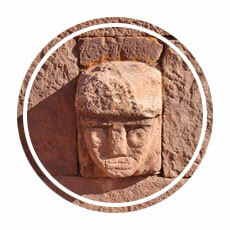 The majority of the Intiñan Solar Museum tour consists of feats the staff claim cannot be duplicated unless you are right on the equator. We started with a demonstration about balance: everyone was encouraged to stand on the red line, close their eyes, and try to walk in a straight line along the equator. While most people struggled, there were a few people who could walk the line easily. Was it because the equator genuinely makes it hard to walk in a straight line, or was it because most people have a hard time walking with their eyes closed? It’s hard to tell without observing the same people attempt the same action away from the equator, but it was entertaining to watch people veer off-course as they lost their balance. We were then escorted further along the equator where a golden basin filled with water stood on the red line. To demonstrate the Coriolis effect, our guide pulled the drain stopper from the basin and we watched as all of the water rushed out—without draining clockwise or counterclockwise. Our guide then moved the basin to the northern hemisphere just a few feet away, filled it with water, and removed the stopper. The water drained out, but this time it moved in a decidedly clockwise rotation. To complete the demonstration, the basin was moved to the southern hemisphere, where the water drained in a clear counterclockwise rotation. It’s fair to be a bit skeptical of this demonstration as well; although our entire group thought it was interesting, there are a few reasons why it might not be as scientific as it seems. 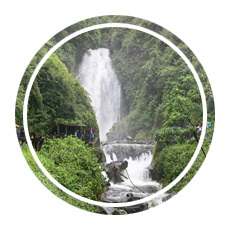 When the water in the basin on the equator was drained, the water was still—it would make sense that it would drain straight down without a rotation. When the basin was moved to a new location on either side of the equator, our guide filled the basin with water each time, which meant it moved with a bit of momentum right away. The Coriolis effect tends to be weakest close to the equator, so it’s unlikely water would drain in such noticeable ways in that location. Still, don’t get us wrong: the Coriolis effect is real. We’ve tested it ourselves in Cape Town and Patagonia as well as in our Washington, DC home, and water does move in a different direction depending on the hemisphere. It’s much easier to see the further from the equator you go. The last experiment was a favorite for most people: balancing an egg on a nail. Our guide told us it’s only possible to achieve such a feat on the equator, where the yolk would be perfectly centered inside the shell. While this makes sense, it doesn’t mean a yolk can’t be perfectly centered anywhere else on the earth. In theory, you can balance an egg on a nail anywhere. Our group had a great time testing the theory, though, and through a combination of balanced yolks and steady hands many people achieved the designation of “egg master,” a title Adam was proud to earn. Knowing the Intiñan Solar Museum may not be precisely located on the equator and that many of the experiments can be debunked, is it worth a visit? For 4 USD and an hour of time, it’s a fun tour that will both entertain and educate you. We were impressed with how local indigenous culture integrated with the museum activities. We had a chance to stand in a hut designed to house four families that was built for the museum by a local community, which was a great way to imagine how people may have lived. When standing on the equator our path was lined by a variety of Polynesian statues representing cultures from the region and the world (we were excited to see a Moai statue—a familiar face from our trip to Easter Island!). 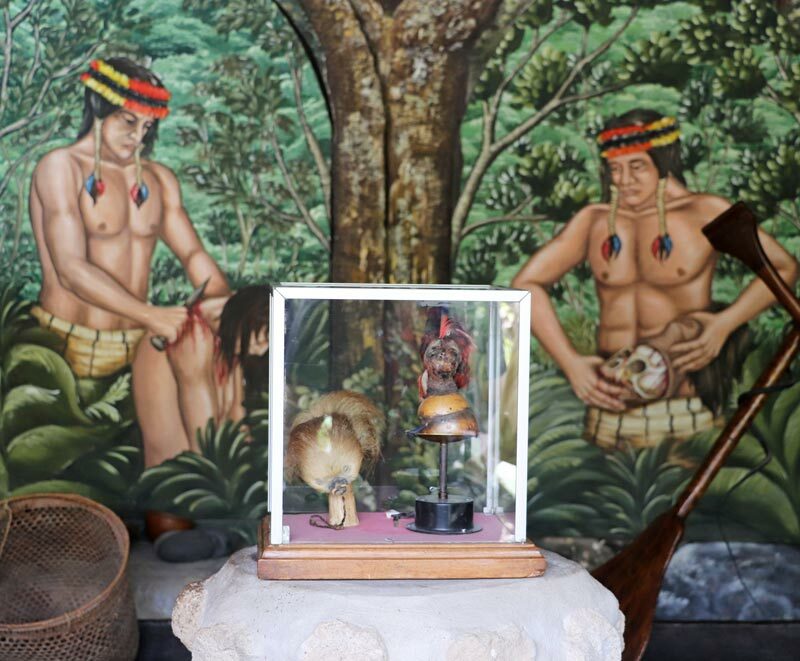 There was also an interesting exhibit of some of the wildlife that live in Ecuador, and close to the entrance we saw a shrunken head from a time when the Quechua people would decapitate enemies and shrink their heads as a way to eliminate them and prevent them from returning to threaten their communities. 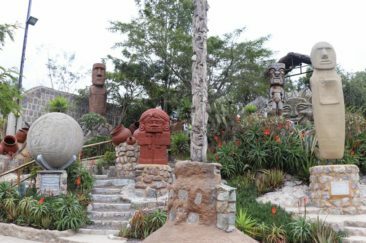 Overall, the Intiñan Solar Museum is an entertaining experience and a worthwhile way to get a little closer to the equator. If standing on the true equator is your goal, the Quitsato Sundial is the destination you want to visit. 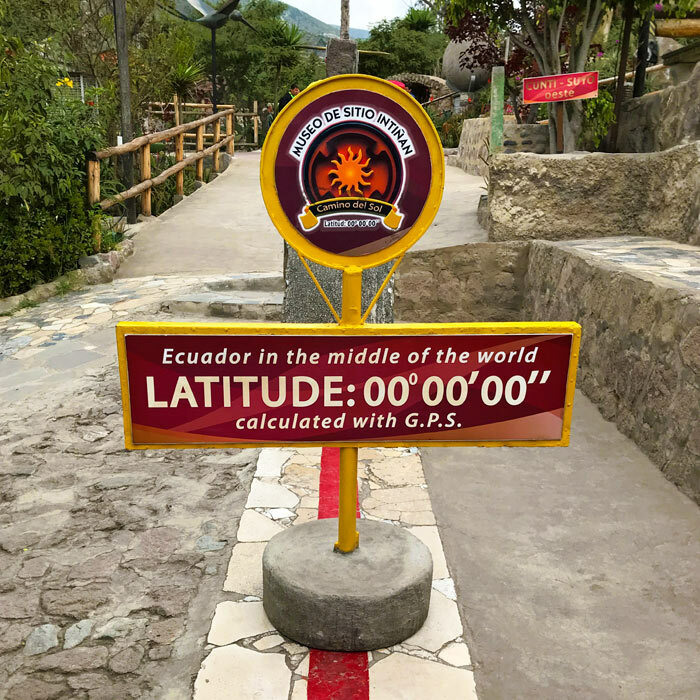 My GPS showed we were standing exactly at 0° 0′ 0” latitude, and the Ecuadorian Military Geographic Institute has determined the position is accurate with a one-millimeter margin of error based on GPS and GNSS readings. It would be hard to get more accurate than that! The Quitsato Sundial was developed in 2006 by a nonprofit organization that now manages the area and provides cultural and scientific presentations to visitors. The representative from Oriens Geovision who spoke with us was most animated when talking about how much easier we can explain seasons when we stop looking at the globe as having northern and southern hemispheres. 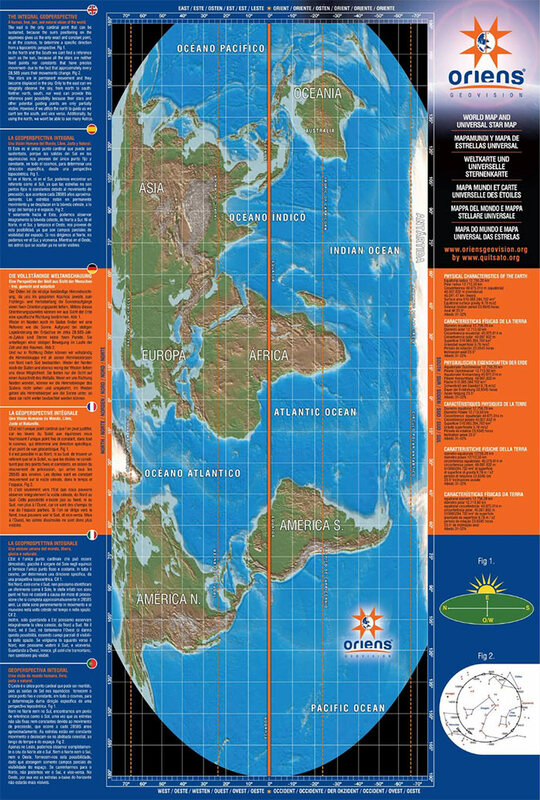 He took a map, rotated it so the equator divided the world into eastern and western hemispheres, and explained how that provides a better way to understand our geological relationship with our planet. It’s an interesting consideration that differs from how most of us learned about the world, but the rationale made sense to us. Our representative also told us that places along the equator are the only spots in the world where you can see the stars visible to the northern and southern hemisphere; from the sundial, you can see the southern cross and the big dipper at the same time if you are visiting on a cloudless night. 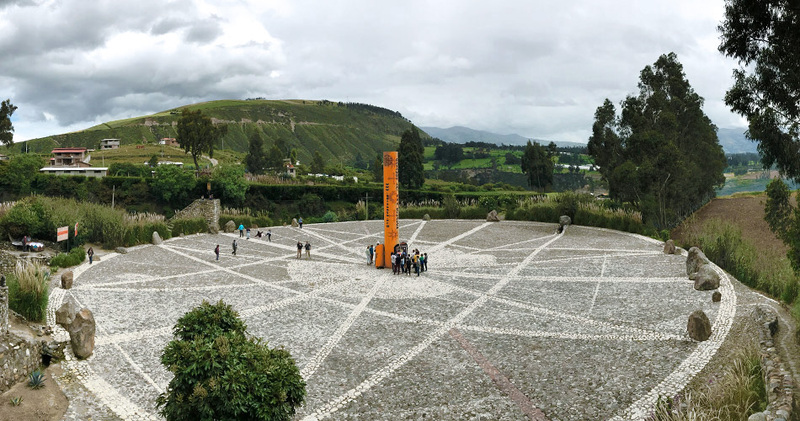 The Quitsato Sundial itself—a 52-meter wide representation—is well worth the journey from Quito alone. On a bright, sunny day the 10-meter-tall pole at the center of the sundial casts a shadow that will tell you the time of day. At noon, when the sun is directly overhead, the pole doesn’t cast a shadow at all. This phenomenon is easiest to observe from lookout points on either end of the sundial, where you can also admire the sundial from a bird’s eye view. The sundial’s stone lines depict the solstices and equinoxes, so the sundial will tell visitors both the time of day and the month of the year. It’s a great way to learn about and visually appreciate how the sun’s movement impacts life on Earth. Are you planning a trip to Ecuador to see the equator? Here are some hotel deals in Quito to consider. 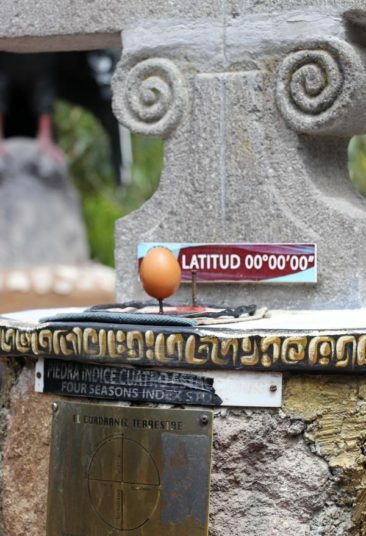 Of the three options you have to visit the equator in Ecuador, the Quitsato Sundial is the most accurate and scientific way to ensure you stand right on the center of the planet. Still, the Mitad del Mundo monument and the Intiñan Solar Museum should stay on your list if time allows; each option provides a unique experience, terrific photos, and the chance to create some great stories to share when you return home. After all, visiting Ecuador and experiencing the line upon which it chose its name is a great tale to tell!